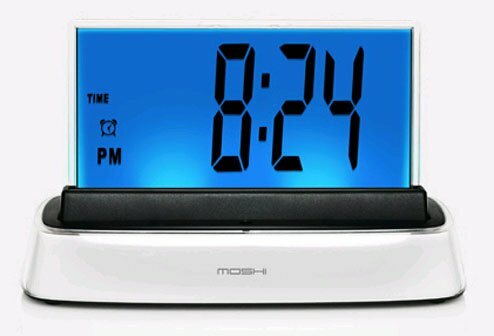 Waking up in the morning with an alarm clock has never been the most favourite time of day for most people. Mornings are hard enough. When I was a kid there was not much choice. I remember as a sleepy teenager listening to that nasty buzzer that drilled into your sleepy brain, or beeping to get up or the screeching from my parents to get out of bed on top of the buzzer, needless to say, mornings were not good. Advance to present time, and your options are limitless. You can set your cell phone with an alarm, or your computer or even your TV to come on first thing in the morning, but there are many other options to choose from. 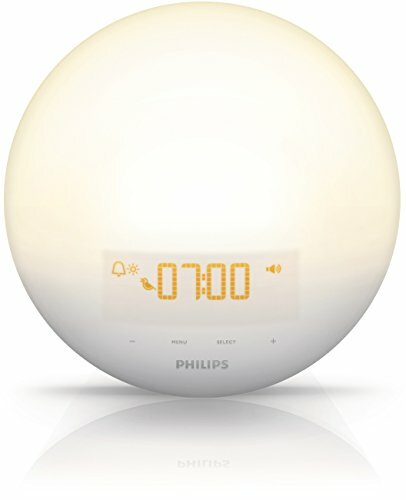 You can choose one based on your preferences and needs, such as an alarm that slowly lights up the room if you prefer to be woken up with the daylight or a small clock with a powerful beautiful speaker that will also charge your cell phone. There no longer needs to be that jarring buzzer or bell first thing in the morning screeching at you. You can be woken gently now and maybe your day will start off in a better mood. Nothing worse than being in calm slumber land, only to be jolted out of bed with that loud buzzer leaving your heart pounding, your day can start off so much happier! 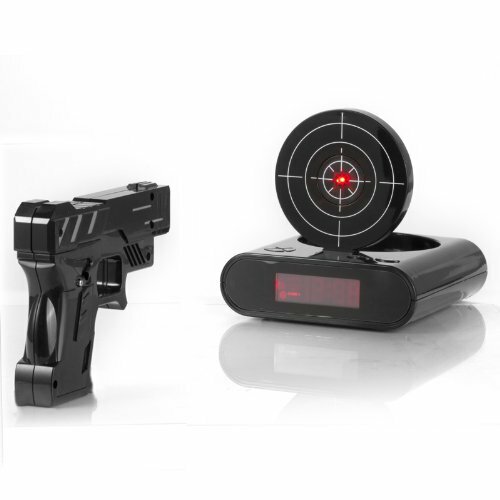 This is the key to purchasing the right alarm clock or system. If you prefer to be woke up with gradual daylight and start your day off calm, there is a clock for that. 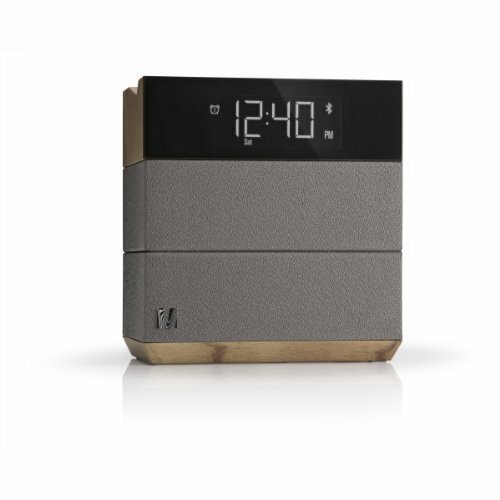 If you love your music and want a quality wireless sound system there is a clock for that. Decide what type of morning person you are and then enjoy the start to your day. This is a worthwhile investment in yourself and your day and for the people in your life who must face you first thing in the morning. If you need some sort of game to stimulate you to get you up, this type would work well. You actually have to hit the bull’s eye to turn it off. This would be great for all ages. If you need a lot of encouragement to get up, or tend to hit the snooze button over and over then make that mad rush to work, this is likely to get you going quicker but only if you are a good shot. I think this one is cool, especially if you have a room that doesn’t have windows or in the depths of winter when it doesn’t become daylight until you are almost to work. Once you set the alarm on this light (your choice of gentle sounds) about 30 minutes before it is time to get up the light will begin to gradually get brighter so that you will naturally wake up just before the alarm goes off and this way you are not in deep sleep. You will not feel groggy as this simulates a typical dawn and sunrise. With this system, you don’t have to set anything manually, it recognizes your voice. Once you do the initial setup so it recognizes your voice, you simply tell it what time you want to wake up and with what sound. It will also give you room temperature and other information. This way you don’t have to leave your bed to turn it off either, but this could be a dangerous system if you tend to use the snooze button, but great for setting the alarm once you have gone to bed. If you need to get up at different times, and are tired of manually changing times, this system would be a much easier setup. This is a wireless, blue tooth great sounding speaking that also has a USB port to charge your electronics. You can stream your own music, set the type of alarm you want and listen to your music on a timer that will lull you to sleep and shut off and then go black so as to not keep you awake with the display. It will come back on at the requested time with your favourite music and your cell phone or tablet charged and ready to go. 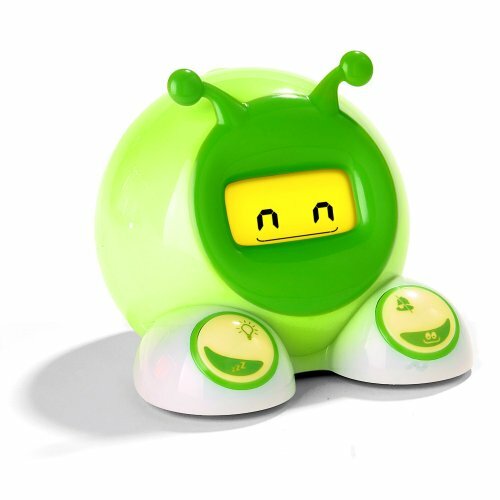 This one is really cool alarm clock for kids. If your kids tend to get out of bed too early then try this clock. It is a soft yellow when they go to bed and it fades as they sleep, but at the pre-set time (the get up time) it will turn green and then kids know that they can get up when the clock turns green. This might just give parents that extra bit of sleep they need! Do any of the above sound good to you? If you are still living in the stone ages with that nasty buzzer or bell, maybe it is time to treat yourself with something a little less nasty first thing in the morning. Figure out your morning personality and invest in a sunnier day!